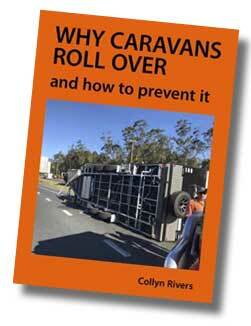 PROLIFIC writer Collyn Rivers has published a new book aimed at preventing caravan rollovers. 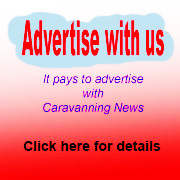 Why Caravans Roll Over - and how to prevent it is described as a "down-to-earth but technically accurate" guide to all aspects of caravan and tow vehicle stability. Mr Rivers said reader response had been extraordinary, with over 35,000 reactions within three days. The former RAF ground radar engineer and motor industry research engineer said the reasons why tow vehicles and caravans jackknife and roll were "many and complex", but knowing why and how could help prevent it happening. Topics covered in his mini-book include stability, tyres, why and how caravans sway, understeer and oversteer, tow vehicles and caravan behaviour and speed. 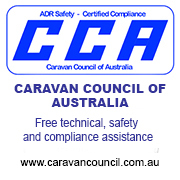 "The cause of rollovers has really been known but until this book all explanations have been in academic papers," Mr Rivers ‒ a recognised leading authority on caravan stability, RV suspension and RV electrical systems ‒ said. "It probably has a record as being the longest technical book ever to complete ... I wrote the first version in 1965," he quipped. "It has gone through countless revisions to ensure it can be understood by non-technical people." Mr Rivers' book is primarily aimed at Australia where, he claimed, caravan manufacturers appeared to have "gone raving mad". "One new 'van can weigh over 4400kg and people tow 3.5tonne at 100 km/h behind a 2.5tonne utility," he said. The major concern was not how conventional caravans and tow vehicles behaved in normal driving, but how they performed in abnormal emergency situations. * Applying the tow vehicle's brakes only while descending steep winding hills at speed. * Swerving at speed, particularly when overtaking or being overtaken by a long truck or semi-trailer. 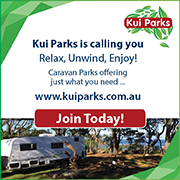 * Towing a long and heavy caravan at high speed by a vehicle that is lighter than the caravan.